Arthur Jakoby is a seasoned securities and commercial real estate litigator. He is a former SEC prosecutor, who has successfully represented regulated companies, individuals, board directors and corporate executives in a wide range of complex matters. According to the 2013 edition of US Legal 500, Arthur is "recommended for any matter requiring intelligence, perseverance and litigating and negotiating skills." A December 2012 article in Forbes lauded Arthur's $165 million dollar litigation victory: "[…]Lead attorney Arthur Jakoby [achieved a] remarkable outcome…due in large part to a clever legal strategy featuring multiple parties, [and] multiple lawsuits…[T]he adoption of a shrewd multi-faceted legal strategy now 'virtually guarantees' that these investors will achieve what was previously unthinkable – realizing a legal profit from investing in [the Madoff] Ponzi scheme." Prior to joining Herrick, Arthur was Special Trial Counsel in the SEC’s Division of Enforcement. While at the SEC, he prosecuted stock and accounting frauds, insider trading matters and stock market manipulation cases involving individuals, public companies, broker dealers and their principals. He was also assigned as a special Assistant U.S. Attorney to the U.S. Attorney's Financial Crimes Unit for the District of New Jersey. Arthur is chair of Herrick’s Title Insurance Litigation Group, which represents all of the major title insurance companies in New York and New Jersey in complex real estate claims on behalf of their insureds. In his 25-year career he has successfully resolved hundreds of real estate title insurance cases in the Northeast and Mid-Atlantic, as well as many class actions involving allegations of price fixing and overcharges by title underwriters. Real estate developers, owners and title underwriters frequently call on Arthur when faced with “bet the company” cases involving breach of contract, breach of fiduciary duty and fraud claims involving large commercial properties. 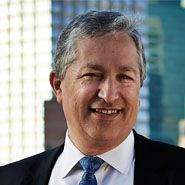 Arthur taught trial practice at Cardozo Law School, a class on insider trading and securities law at NYU’s School of Continuing Education and has been a lecturer on title insurance at New York Law School. Arthur has consistently been ranked as one of New York City’s leading commercial litigation attorneys by Super Lawyers (2006-2016).